to hear some super expensive cables in their system. Owners of these http://www.highfidelitycables.com/ almost sound orgasmic when they talk about them. ICs start at $1600 a pair. I set a limit for myself that I woudnt pay more than $200 for a pair. Maybe I should rethink that. Not saying I'd spend $1600 but if I'm willing to spend say 2k on a component, why not on cables? Shouldnt they be considered a vital link in the chain? Please, lets not go into cost of construction and materials. Cables are absolutely a vital link, essentially a component. Unfortunately, finding those that work best in one's system is largely a matter of trial and error. Fortunately you don't have to spend mega bucks to find great cables and price is not necessarily the best determinant of how the cables will work in any system. See our own Pete/TWL. (plug, plug, plug). I also really like Paul Kaplan's wires. But in general I do believe that the higher the cost the better the sound (I said in general - I know there's a lot of scatter around the cost vs. quality line) to the point where it gets silly. Nowadays I feel you can get pretty good quality from a say $500 dac. Maybe 90% of the way to state-of-the-art But what cables are you going to use? The 10% rule? $50? Nah - you'd be throwing away too much SQ. $200? OK, now most of the SQ is back, cable-wise. But the pisser is, spend $500 and my guess is you'd be able to significantly improve on your $200 jobbie. But now you've equaled the cost of your dac and that's just insane. But spend more than $500 on your cable and I would not be surprised if the SQ goes up even more. But now the apple cart's been totally overturned. So what to do? Each person has their own ratio of acceptable sound vs. $$ that is theirs alone. He concluded, "I was surprised when the technology pushed the sound of my system in the wrong direction." Oh I know Pete's stuff very well. Have a bunch of his power cords as well as his speaker cable. I have a couple of their IC's and they are worth the praise. The problem with Art's review is you can't just put them in and out. They need to settle a couple of days also, those weren't the cables they were the RCA adapters. Which adding extra connectors isn't a good thing, IMHO. I also think Pete's stuff is excellent. One of these days I'll like to try his new PC on my monoblo :Dcks. I remember a few years back Art Dudley didn't think power cords made a big difference, just saying. Not saying I'd spend $1600 but if I'm willing to spend say 2k on a component, why not on cables? Shouldnt they be considered a vital link in the chain? Emil, I think in these two sentences you cut right to the heart of the question. At $200 a cable is an accessory purchase, but at $1600 it is a component and should be evaluated the same way that you would any other component, by asking A) Does it make my system sound better, B) Is the amount of sound improvement worth the amount of money you will have to pay for the new component (This is very subjective and your own opinion is the only one that matters here, because you can be sure that there will be all kinds of people who will want to tell you how they think you should spend your money. ) and finally C) What other options are there for a system upgrade with that amount of money and would any of them produce and even bigger SQ improvement over what you are now considering. Steps A & B are pretty automatic for all of us,but especially with cables step C often gets overlooked. And that is OK if you are dealing with $200 cables , because putting that kind of money into hardware us unlikely to yield a significant increase and if there was say an amp that was significantly better than the one you have now that was only $200 more you probably would have bought that one in the first place. However the game changes significantly when the price of the cables begins to approach the price of the component they are connected to. Say you have a $200 amp connected with a $200 pair of ICs. Your total investment in this setup is $2200. If you are evaluating upgrading your IC to one of those $1600 IC the question now becomes would a $2000 amp with !1600 ICs sound better than a $3600 amp with $200 ICs. Hmmmm, that is a much different proposition. 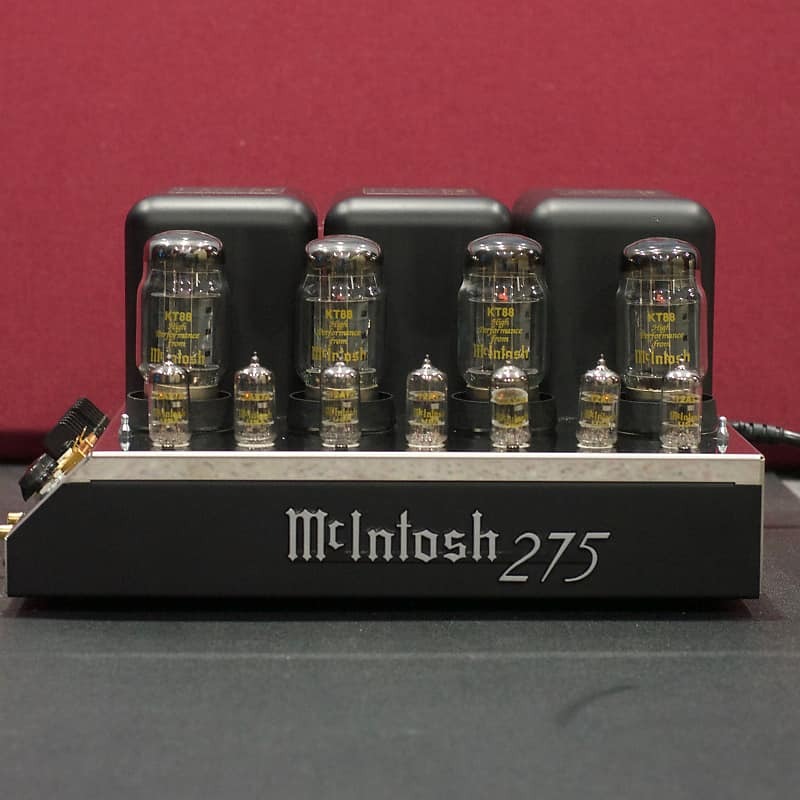 or taken even further, would my musical experience be enhanced more if I just left the amp and ICs as they are and sunk $1600 into a better DAC or Phono cartridge?The decision tree just becomes much more complicated, as it should for a purchase of that magnitude. But back to your original question, I have upgraded cables several times over the years and got nice improvements each. Many years ago I pretty much standardized on MIT cables. When I first got my system I went trough and extensive period of trial and error testing and listened to pretty much every cable that Audio Visions carried (Steve and Nick were very patient about lending me cables and actually insisted that I do this) After extensive listening MIT was the best match to the equipment I have and over the years (and many later experiments) that has not really changed) Other people have varying opinions on MIT, but they just work for me, except for some reason between the TT and the phone input of the pre,where the run of Monster M-1000 bests the MITs, I don't know why and of course the power cables, which are all TWL). When I got the VT-200 amp the huge size of the chassis dictated that the amp had to come out of the rack and on the floor between the speakers. I needed a shorter run of Speaker cables and when I shopped around the used adds I spotted a 6 ft pair of MIT MH-750 Shotguns for $400 that was perfect for what I needed. My Thiels had always been connected with the standard MH-750 cables so I figure the shotgun would have the same house sound and they were the right length and reasonably priced so I went for it. Now if I remember correctly back in the late 80s when I originally bought my original speaker cables a 6 ft run of standard 750 cost in the area of $400 and the shotgun version was about $1200 (Don't quote me on the exact numbers, but I remember that it was a bit more than double. Now I did not seek out the shotguns for a SQ upgrade, I did it to meet the needs of a new physical configuration, but I was very pleasantly surprised with the amount of additional SQ they gave me. Would I have paid this $1200 for them back in 1988, I doubt it (and of course when the amp was in the rack on the side of the room I would have needed 15 ft runs of shotgun which would have come close to $2000 in price). I have also twice moved up within the MIT line, one because I got cables on a clearance sale when MIT and Transparent dissolved their US Distribution and Audio Advisor was blowing out $600 cables for $99 and the other when I needed a 15 ft IC to feed the VT-200 on the floor and just found a great deal on ebay.) Both times I could definitely hear the difference in the "Better" cables. So in answer to your original question, more expensive cables can, and often do sound better, but not always. I have a pair of Waveform Fidelity ICs in my system and they are some of the best sounding shielded cables I have ever had in my system. A review of the Waveform Fidelity line up can be found at the URL below. Emil, I would say that cabling is very important as is power filtering. As it is, the rest components in your system determine how much benefit better cabling will net you. There is no substitute for an in system audition of both gear and cabling. Depends if there is a resale value. Brings down the risk if you can sell them. If they are expensive but can not be resold I wouldn't bother. Then they are just that... Expensive. For those who don't know, Paul Kaplan is Waveform Fidelity. The ICs I have are the prototypes that were reviewed in the Enjoy The Music issue listed above. The production design (which I have not heard) are supposed to be even better. Where did Art Dudley come from? I missed that part.